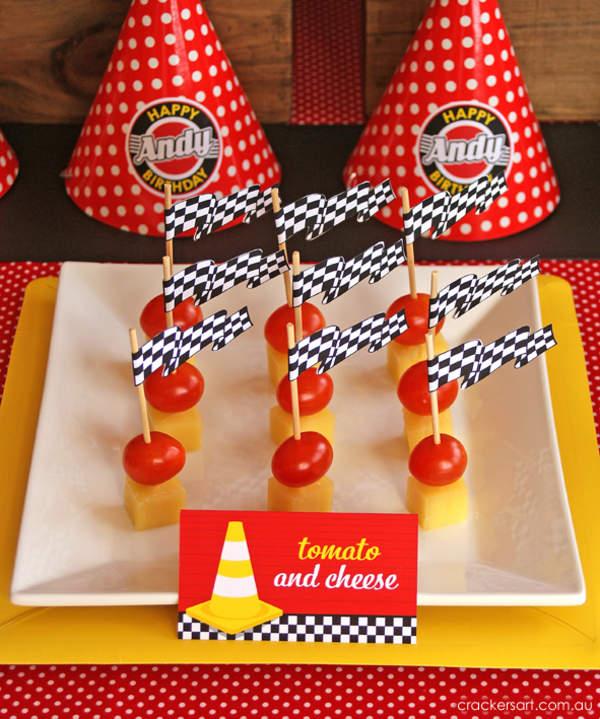 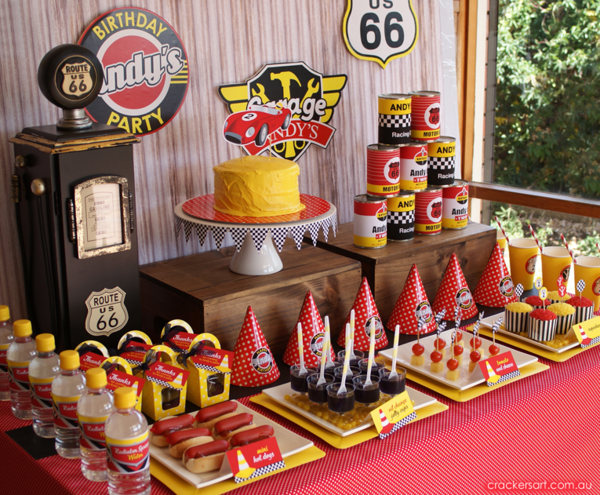 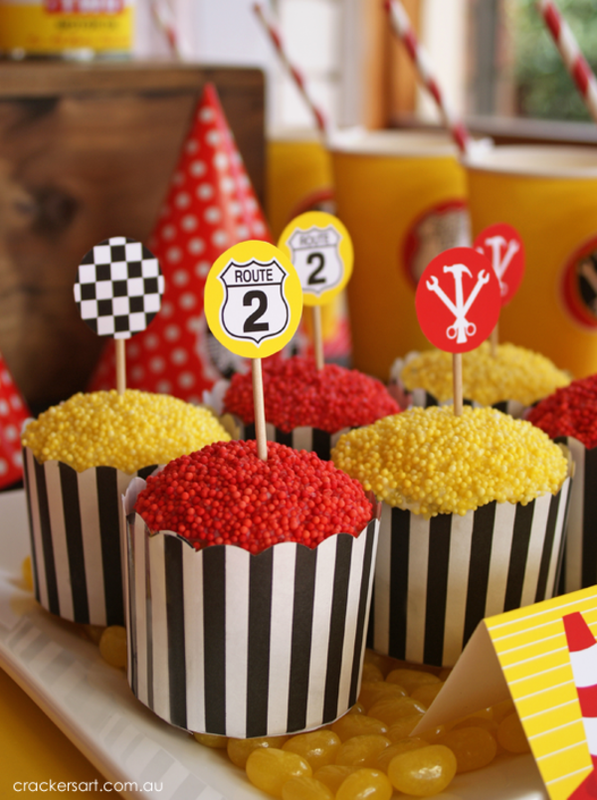 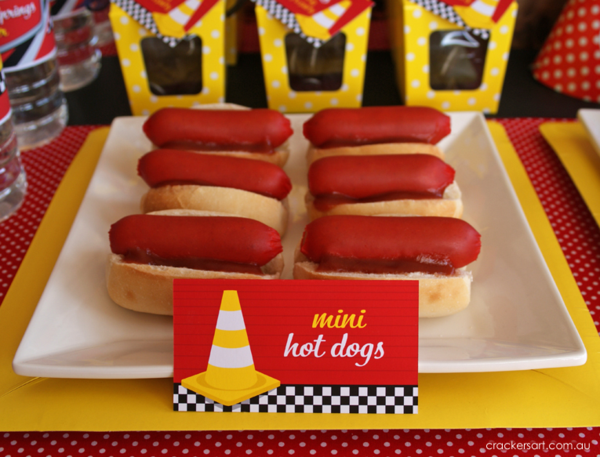 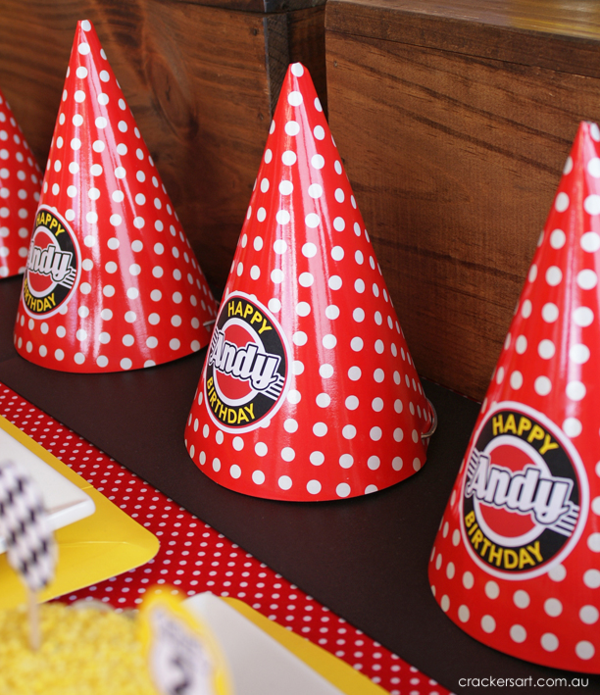 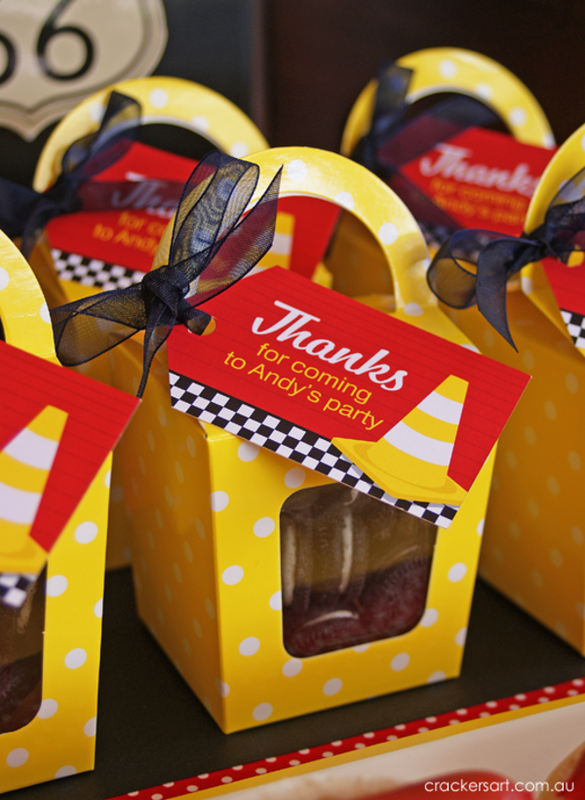 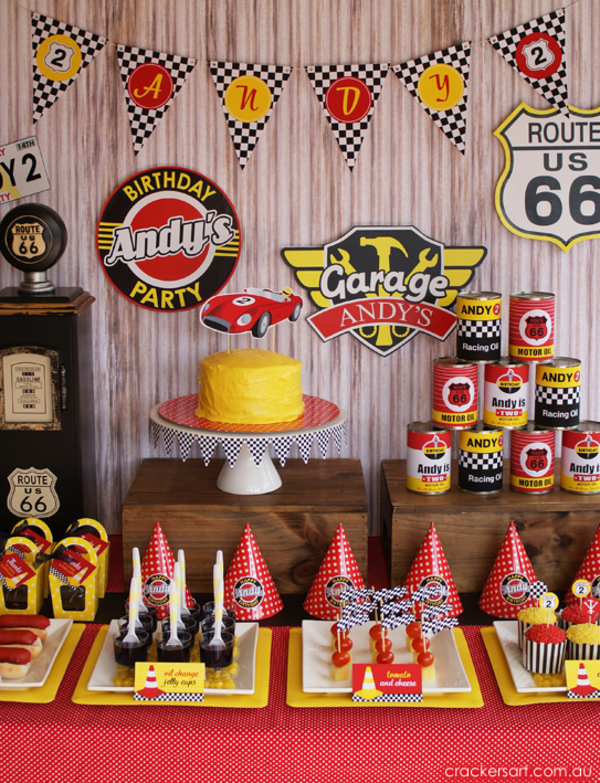 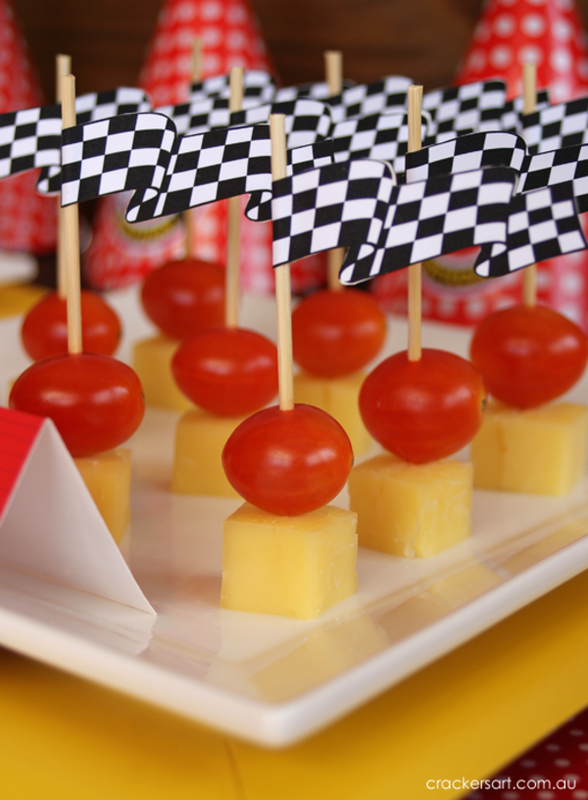 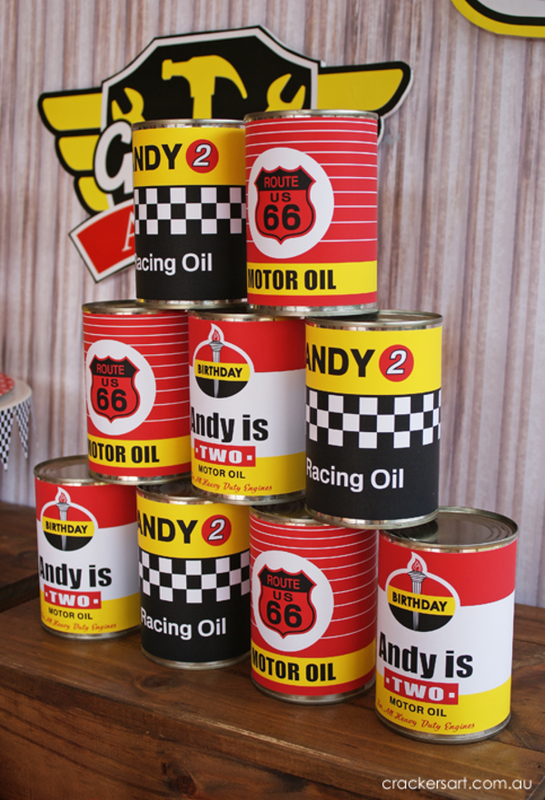 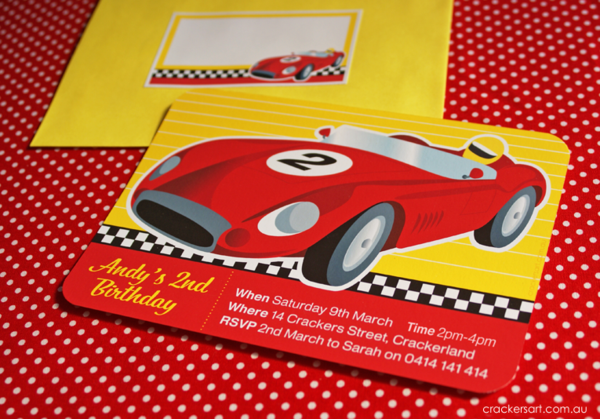 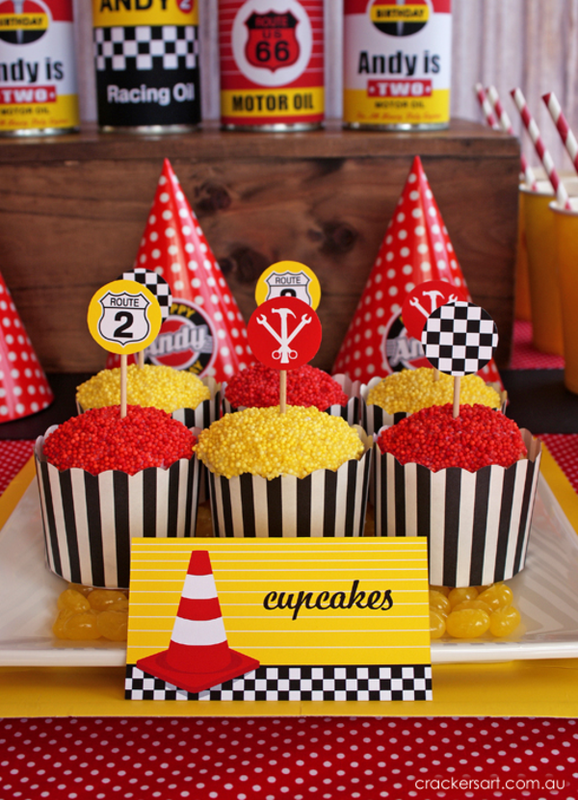 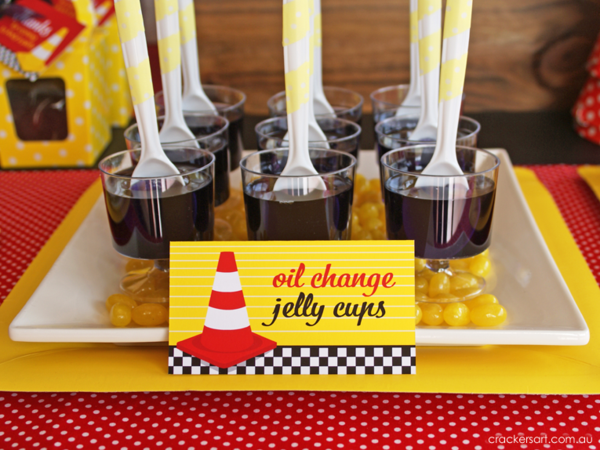 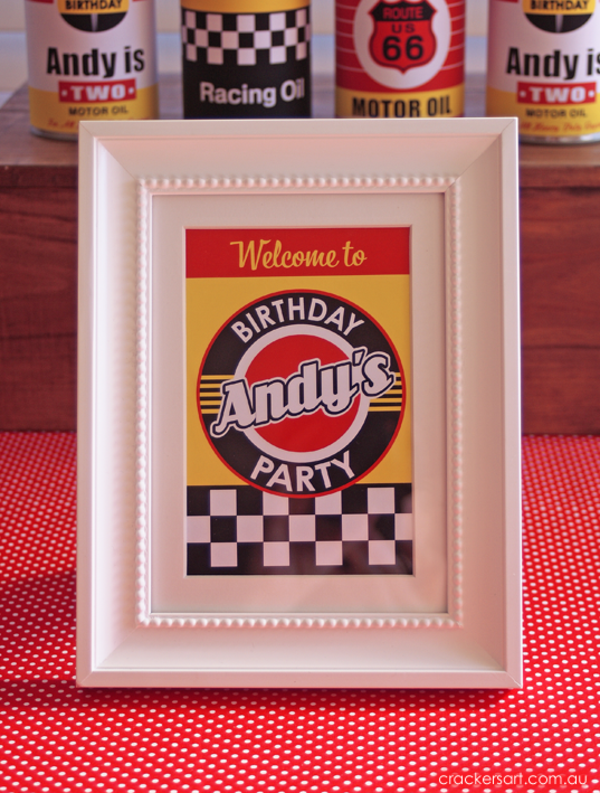 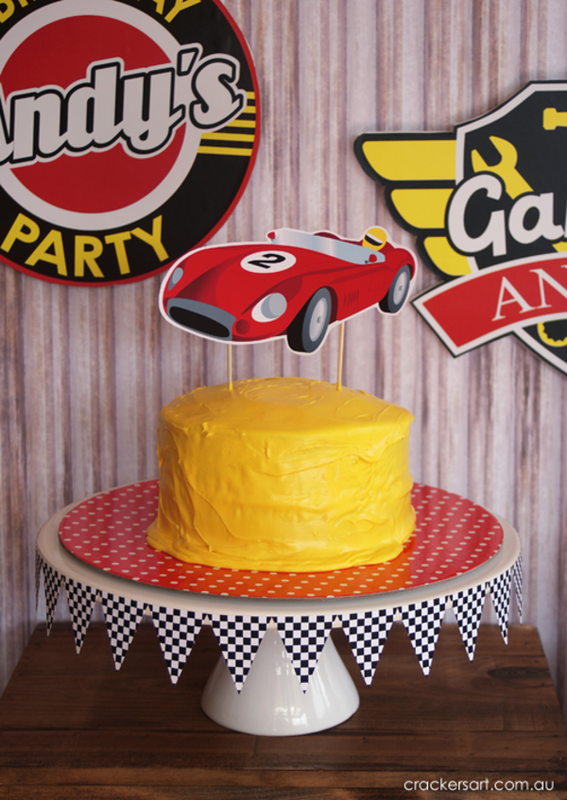 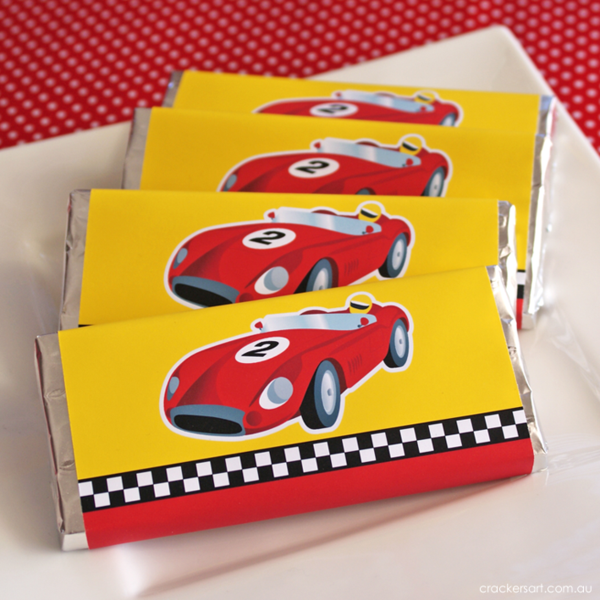 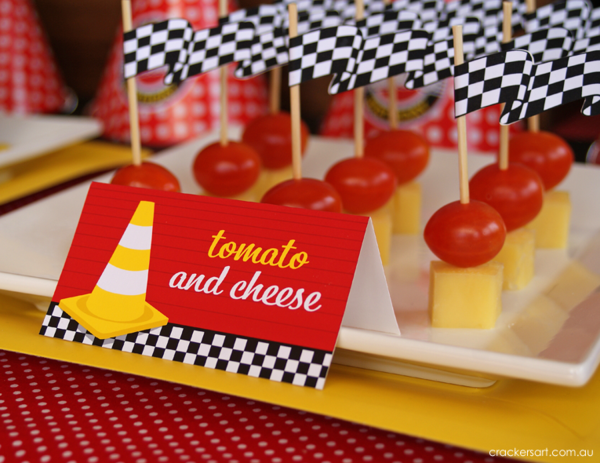 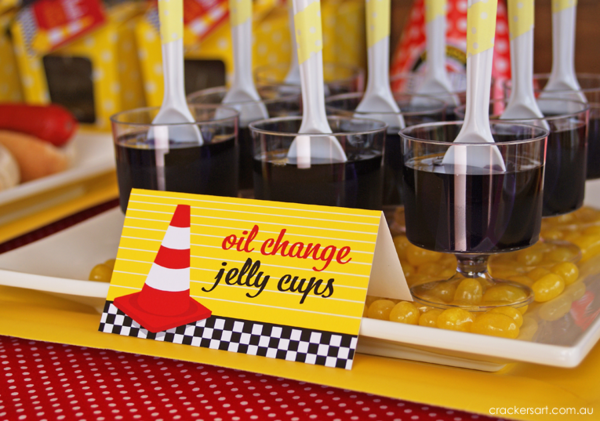 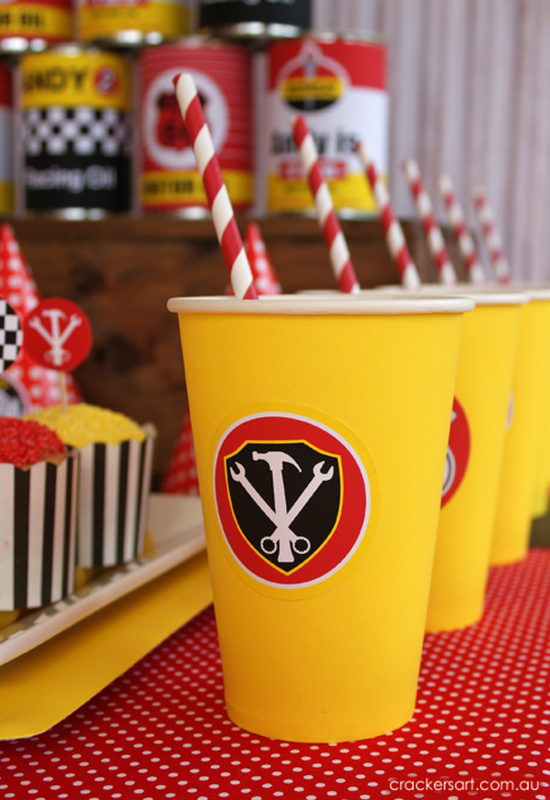 This adorable VINTAGE RACE CAR PARTY was submitted by Sarah Epstein of Crackers Art. 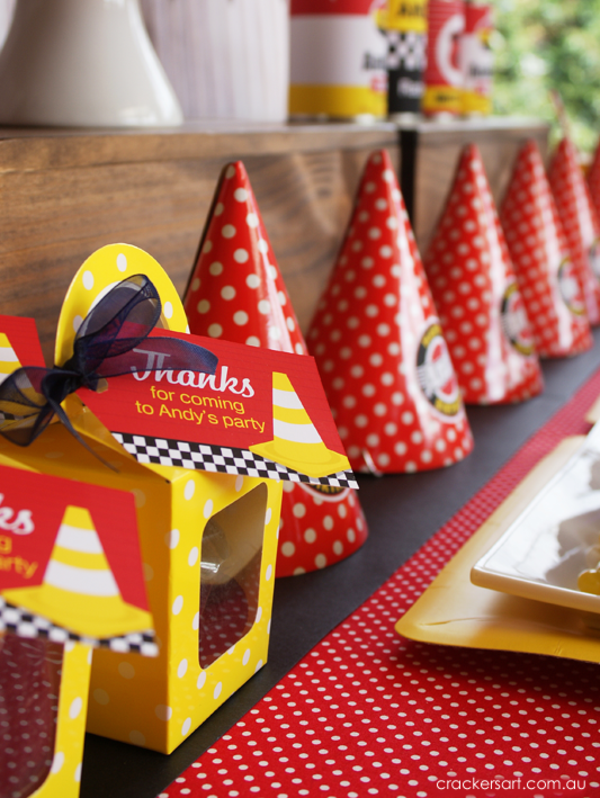 I love that this party has a rustic feel yet it’s still colorful and bold! 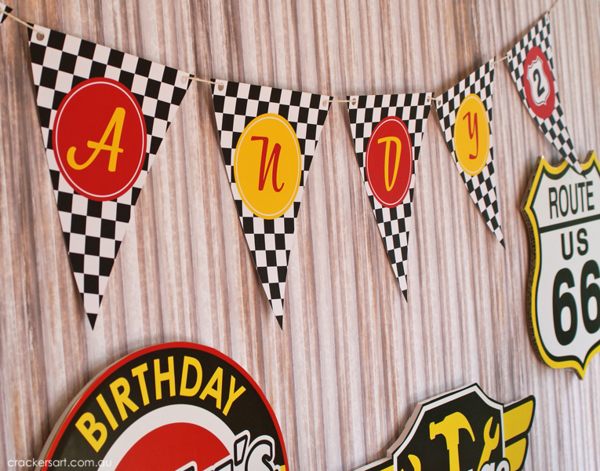 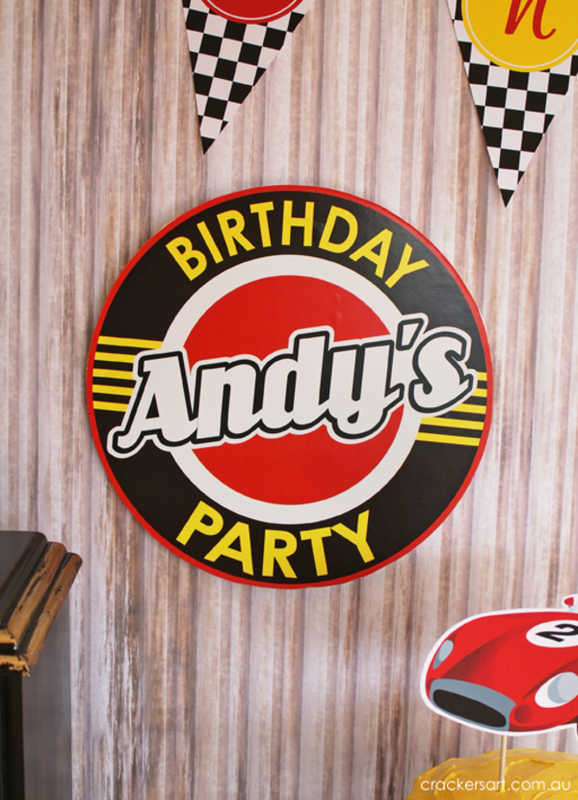 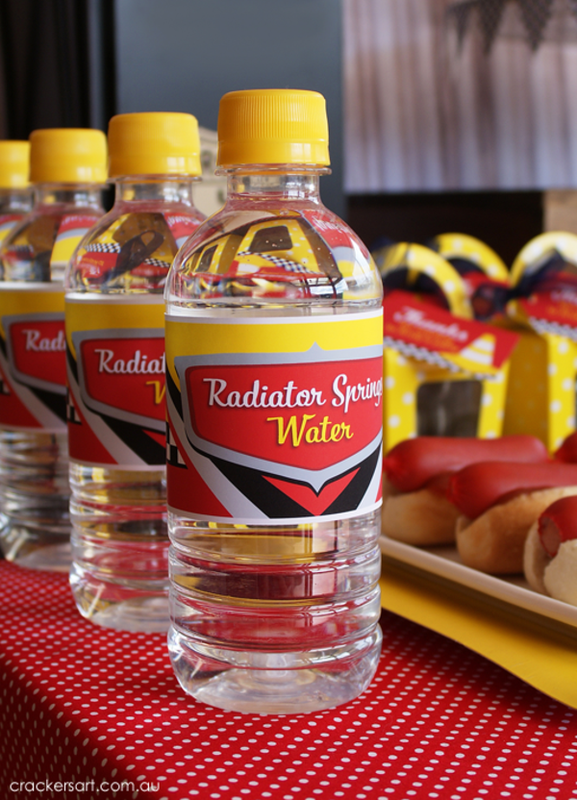 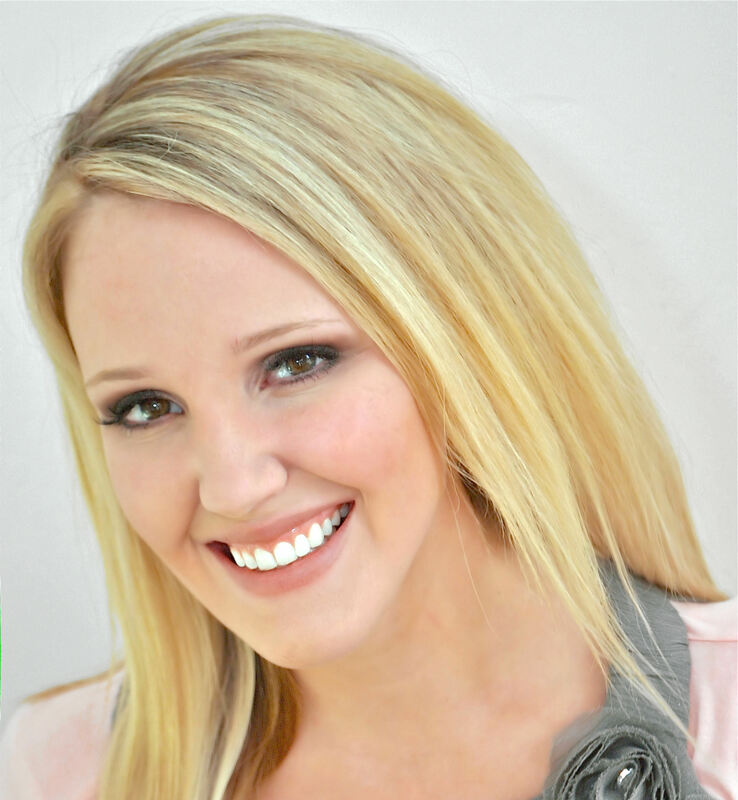 This is what Sarah said about this party– “In August last year, I had the pleasure of creating some custom printables for a client to suit a vintage car racing theme. 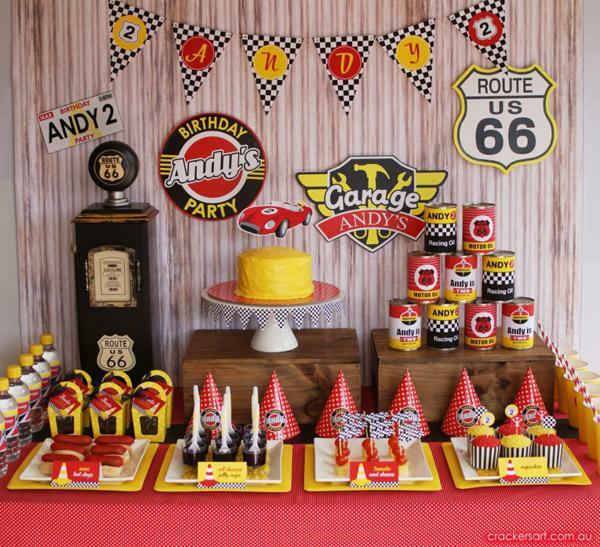 While my customer only needed a few items, I knew the theme would look fabulous across a complete printables range, so I set about creating one.